This month VGB asked our special guest Karla Von War which style we should do this month’s Patreon shout-outs. 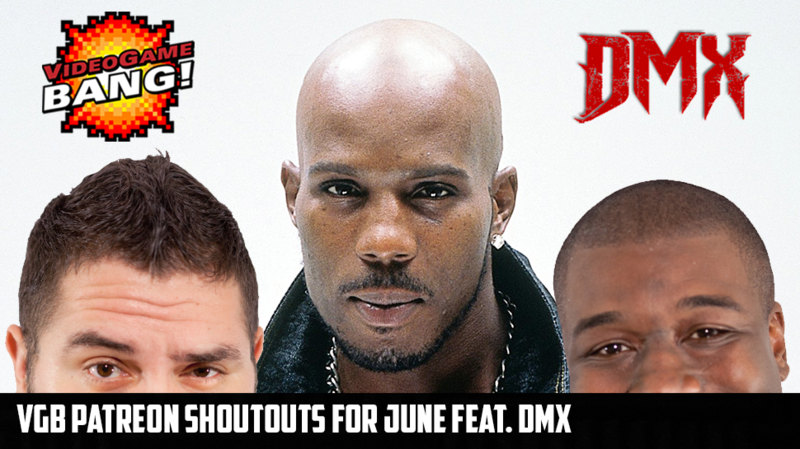 We had talked about DMX and Karla’s career as a day rapper earlier in the show so naturally this week the BANG GANG channels their inner DMX. Thank you to all our Patrons, rest assured the only reason we do stupid stuff like that is cause we love you! If you wanna take a listen, the audio is available on our Patreon feed!